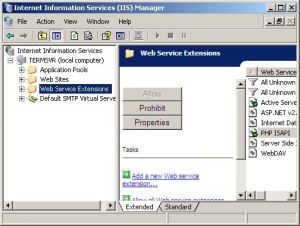 There are millions of sites showing you how to install PHP 5 on IIS and believe me, most of those don't work. 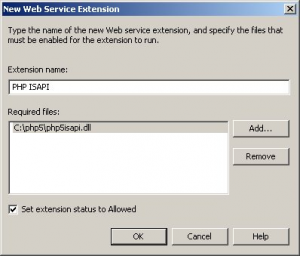 I have decided to do my own succinct version of PHP 5 and IIS so here it is. Hopefully it helps someone. 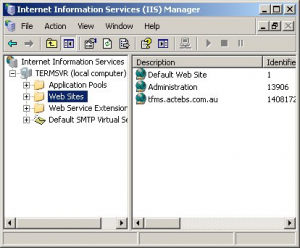 This guide assumes you already have IIS up and running on your server. 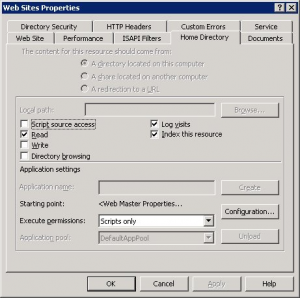 - Right click on the My Computer and click properties. Select the Advanced tab and then click the Environment Variables button at the bottom. - Move your cursor to the end of the text in the Variable value field and type in the path to the PHP directory you created earlier C:\PHP5. Make sure that there is a semi colon ";". 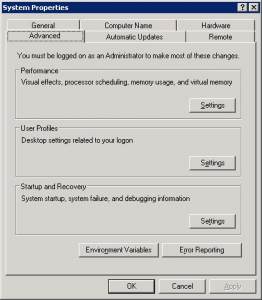 Click on the Ok button to save it and return to the Environment Variables window. 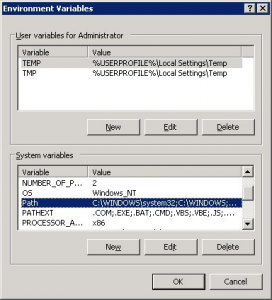 - From the Environment Variables window click the New button and you should see the New System Variable window. 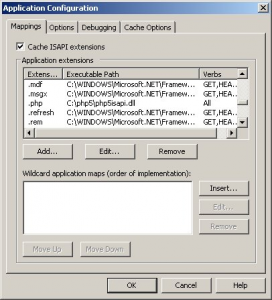 In the Variable name field type in PHPRC, and in the Variable value field type in the path to your PHP install directory C:\PHP5. Click the ok button to create and save the variable. This PHPRC variable tells Windows where to look for your php.ini file. - Now to configure your php.ini file. 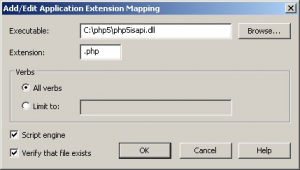 - Open php.ini in your favourite text editor and do a search for extension_dir = "./" and overwrite it with extension_dir = "C:\PHP5\ext"
- Search for ;session.save_path = "/tmp" and replace it with session.save_path = "C:\PHP5\sessions" make sure you uncomment by removing the semi colon ";"
- Search for ;upload_tmp_dir = and replace it with upload_tmp_dir = "C:\PHP5\upload" make sure you uncomment by removing the semi colon ";"
- Search for ;error_log = filename and replace with error_log = "C:\PHP5\log\php.log" make sure you uncomment by removing the semi colon ";"
- Search for ;extension=php_mysql.dll and make sure you uncomment by removing the semi colon ";"
You have now successfully installed PHP 5 on IIS 6. Consider yourself a GOD!